Do You Automatically Renew Your Car Insurance? ← What Does Your Car Insurance Premium Get Spent On? There has recently been some interesting research carried out by the price comparison website Gocompare. Alarmingly, this reveals there are a small percentage of motorists that receive their car insurance renewal documents who bother to compare the premium that they have been paying for the previous 12 months with what their new premium will be. Do you check your car insurance premium at renewal? You may be surprised to read that a mere 46% of drivers receiving the above documents bother to look at what they have been paying in the last year. You would have thought that, in the current economic climate, most people would want to keep a tight control on their expenditure. It is estimated that, collectively, many policyholders could be paying around £2 billion per annum more than they really need to because they just allow their car insurance to be renewed automatically each year. 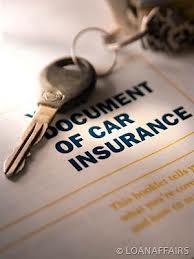 It is estimated that around 37% of motorists have stayed with the same car insurance company for a minimum of 3 years. It is also interesting to hear that under 31% of policyholders check their renewal documents to see if there have been any amendments to the cover being provided. Apparently, the research revealed that the biggest reason given (36%) for someone staying with the same insurer was that, as they believed they had got the cheapest car insurance premium in the previous year, it was hoped that they would still get a policy providing good value at renewal. The next biggest reason (26%) was because the motorist felt loyal to their insurance company and the third biggest (21%) was because the policyholder felt it would be a lot of hassle to shop around even if a lower premium could be found elsewhere. It does seem rather shortsighted of those people that just automatically renew their car insurance policies without seeing if they can get a better deal elsewhere. After all, it does not take long to get on the Internet, find a car insurance price comparison website, key in the information requested just once in order to get one or more quotes and check if they can get the same cover for a lower premium than what they are being asked to pay at renewal. This entry was posted in News and tagged car, car insurance, Car Insurance Premium, car insurance renewal, Cheapest Car Insurance. Bookmark the permalink.